Kathy Scambiatterra (Director) is Artistic Director and co-founder of The Artistic Home. As an actor, Ms. Scambiatterra most recently appeared in the staged reading of Nelson Algren Live at Steppenwolf Theater with Willem Dafoe and as Eliza in Look Homeward Angel at The Artistic Home. Other Artistic Home credits include Juno in Juno and the Paycock, Natural Affection, Orpheus Descending and The Boor. Other local and regional credits include Steppenwolf Theater, Goodman Theatre, Chicago Shakespeare Theatre, Center Theater, Wisdom Bridge Theatre, Pegasus Players, Pacific Resident Theatre Ensemble, Bailiwick Repertory, Aspect and Halcyon. She has received three leading role Jeff nominations for her work in Natural Affection, Abundance, and The School of Wives. As a director, she has helmed many acclaimed, Jeff nominated and After Dark winners with The Artistic Home including: Waiting for Lefty, In the Boom Boom Room, Angel City, After the Fall, Street Scene, Peer Gynt, The Madwoman of Chaillot, The Petrified Forest, and last season's Modigliani. Ms. Scambiatterra is the director of the actor training program at The Artistic Home. In addition to teaching at The Artistic Home, Ms. Scambiatterra has taught at Screen Training Ireland, Dublin, Ireland; The Steppenwolf School; Columbia College; Center Theater's The Training Center, Chicago, IL; Carolyn Berry Studio for commercial acting and The Pacific Resident Theatre for stage, LA, CA; Director’s Symposium, US Army, Heidelberg, Germany. Hank Perritt (Playwright, Producer, and Discussion Leader) is Professor of Law and former Dean at Chicago-Kent College of Law. He wrote and produced You Took Away My Flag: a Musical About Kosovo, which enjoyed a short run at Strawdog Theatre in Chicago in 2009 and an eight-week run at Theatre Building Chicago in 2010. A movie derived from the story in the musical is under development, with a trailer having been shot and released in 2011. His new plays Airline Miles and Giving Ground are in late-stage development. He is Vice President and member of the board of directors of The Artistic Home theatre, and Producer and Managing Member of Modofac Productions, LLC. He has written extensively on Internet law, employment law, and on the future of the music and movie industries. Professor Perritt has led many CLE programs. He is a member of the bar of Virginia (inactive), Pennsylvania (inactive), the District of Columbia, Maryland, Illinois, and the Supreme Court of the United States. He holds an SB in Aeronautics and Astronautics from MIT, an SM in Management from MIT's Sloan School, and a JD from Georgetown University Law Center. Richard J. Gonzalez (Discussion Leader) is a Clinical Professor at Chicago-Kent College of Law where he teaches Employment Discrimination and Pretrial Litigation. Mr. Gonzalez has represented plaintiffs in employment discrimination and wrongful discharge cases since 1988 after having served as an Administrative Law Judge at the Illinois Human Rights Commission and as a civil rights lawyer with The Legal Assistance Foundation of Chicago. A 1975 graduate of Northwestern University and a 1978 graduate of The Ohio State University College of Law, Mr. Gonzalez has extensive trial experience and is active in the National Employment Lawyers Association, the ABA, and the CBA. He has published numerous articles on employment law in law reviews and practitioner journals, he is a frequent speaker at continuing legal education seminars, and is co-executive editor of the leading employment law treatise “Employment Discrimination Law by Lindemann & Grossman (BNA). Jim Lynch (Script Consultant) has been writing plays for about ten years. His most recent play, The Tallest Man, will see its world premiere on The Artistic Home stage as part of the 2009/2010 season. The play was developed with John Mossman and The Artistic Home for two years in a series of readings. The Artistic Home has staged several of Jim's shorter plays, including Photo Op, The Palace of Riches and Purgatory. Jim's work has been seen elsewhere around Chicago, including at Chicago Dramatists, where Jim is part of their Playwright's Network. Jim is also a founding member of the writing group BUMS. His work was also seen in Tourmakeady, County Mayo, Ireland, when Jim produced his own show Turn of the Spade there. He has been an Assistant State's Attorney in Cook County for 15 years, currently prosecuting financial and public integrity crimes. Travis Life (Bar Liaison) is a Chicago lawyer who founded Life Law Office in 2007 to provide artists with the quality legal services essential for success in business. Life Law Office has organized many successful entertainment businesses, such as record labels, dance companies and actors’ studios. Prior to creating his own law firm, Mr. Life worked with artists through the Lawyers for the Creative Arts in Chicago and California Lawyers for the Art in Los Angeles. 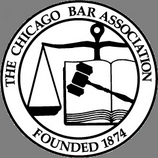 He is an active member in the Chicago, Illinois State and American Bar Associations. Mr. Life was asked to join the board of Chicago's Remy Bumppo Theatre and the auxiliary board of Chicago's famed Steppenwolf Theatre in 2009. A member of the Old Town School of Folk music, he spends much of his free time either practicing piano or attending local music and theatre performances -- many of them for his own clients. Mr. Life graduated from the University of Iowa with a Communication Studies degree and minors in Political Science and Theatre Arts. He received his Juris Doctor degree from Chicago-Kent College of Law with a certificate in Intellectual Property. Travis Life is licensed to practice in Illinois and California. Dan Selcke (Assistant Producer) is excited to be part of Giving Ground. While managing the office of the Shaw-Chicago Theater, Dan was involved in the organization and production of several staged readings of classic plays, including Clifford Odets’ Paradise Lost, Elizabeth Robins’ Votes for Women, and several plays by George Bernard Shaw. Dan is a graduate of the Chicago-Kent College of Law and has worked at the Dupage County State’s Attorney’s Office, the Cook County State’s Attorney’s Office, and the Office of the United States Trustee. Eric Lipinski (Assistant Producer) is thrilled to be involved in producing a play that is such a creative and entertaining way to earn CLE credit. He studied improv at the Second City while in law school and is excited to get involved with the Chicago theatre scene again. A recent graduate of Chicago-Kent College of Law, Eric concentrated his studies on environmental law and intellectual property.